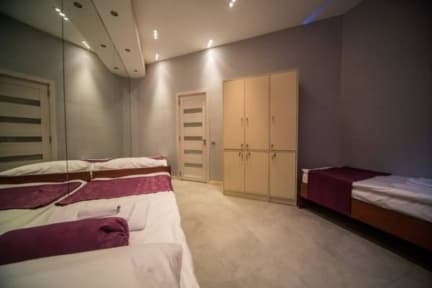 Hostel INN Hotel&Hostel v Baku, Ázerbájdžán: Zarezervujte nyní! Hostel Inn is the best velue for those who want to relax at a premium hostel and keen on a transport-free ride in central Baku. It is located right in the city center next to the Fountains Square. 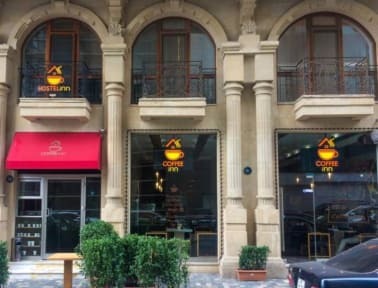 The Maiden Tower, Shirvanshahs Palace, Old City, Nizami cinema, Azerbaijan cinema, Russian Drama Theater and Baku City Circle are 3-5 minutes from the Coffee Inn Hostel. All the rooms are equipped with air conditioning system. Some rooms have premium TV broadcast service. Hostel Inn offers: Cloakroom, wardrobe, shared bathroom, toilet, slippers, shampoo, soap, towel, hair drier, laundry, wake-up service, 24 hour reception, free Wi-Fi and free tea. More than 3 days of stay is awarded with a free airport transfer service.